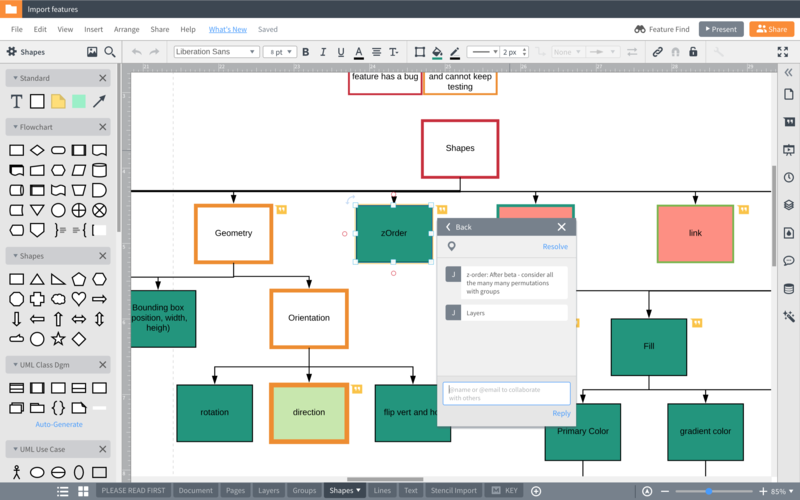 See how Lucidchart can help you build world-class apps and convey your vision. Solve complex problems visually—in Lucidchart, you can work individually or as a team to organize and prioritize ideas, create personal clarity, and determine the best way to build powerful applications. 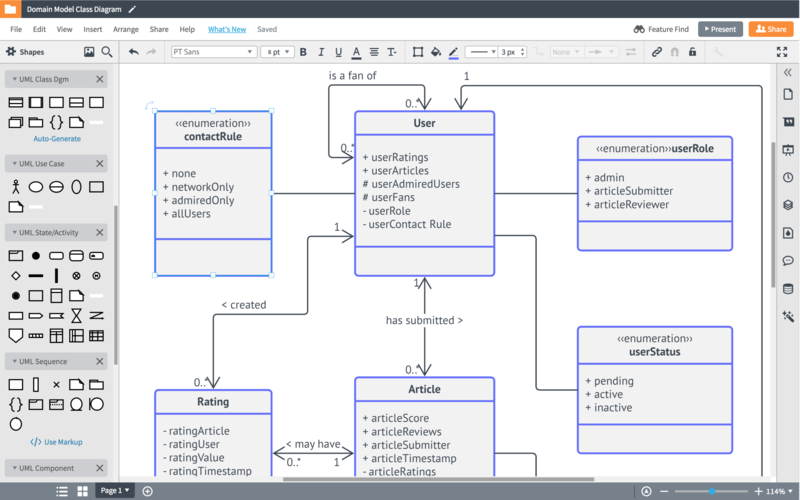 With an intuitive interface and UML shape libraries, you can create clear documentation in Lucidchart around the processes, code, and systems fundamental to your organization. Store everything in a central repository easily accessible by everyone, simplifying training and troubleshooting. 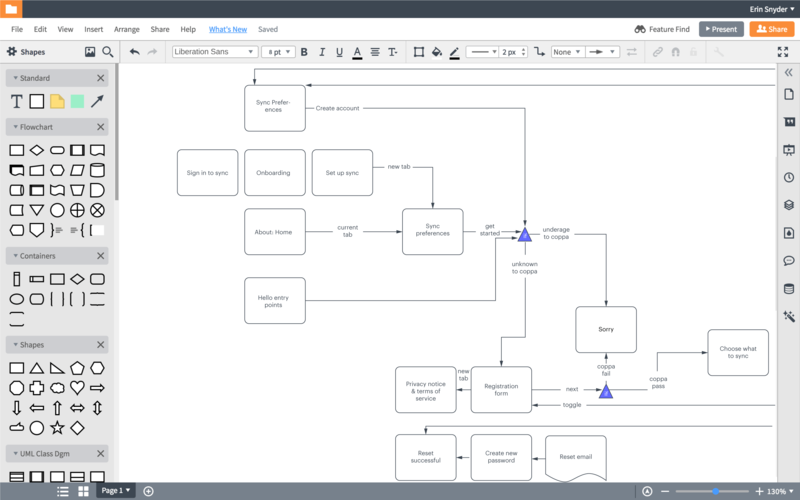 In Lucidchart, you can produce professional visuals that make it simpler to communicate with other engineers and explain projects to non-technical colleagues without diving deep into code. 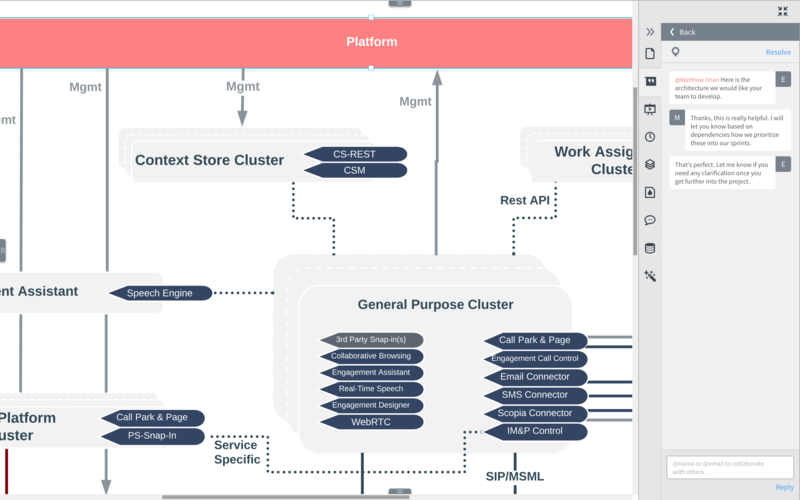 Using our Jira integration, you can embed diagrams to answer questions about code and previous initiatives. Whether you’re working with new hires or employees transitioning teams, use Lucidchart to build visuals that create clarity and help bring them up to speed quickly on your code base or systems. I’ve used diagrams in various forms with Fortune 500 companies and with clients to level the playing field for discussion. One diagram essentially cuts two or three hours of conversation down to 20 minutes of discussion to get everyone on the same page; then we can go talk about what matters.